Washington (AFP) - French jihadist David Drugeon, an alleged bomb maker for an Al-Qaeda affiliate, has been killed in a coalition strike in Syria, a US official said Friday. Drugeon has been described as a key figure in the Al-Qaeda offshoot Khorasan group, which operates in Syria and which American officials say is a dangerous militant outfit planning to attack the United States and other Western countries. US officials previously thought Drugeon had been killed in a November 2014 drone strike, but the claim was later disproved. "He's definitely dead," a US official told AFP on Friday, speaking on condition of anonymity. Drugeon was hit in a strike in July, according to a second US official, who also spoke on condition of anonymity. According to that official, Drugeon was a "very key technical member" of the Khorasan group and an expert at making "non-metallic Improvised Explosive Devices" -- the military term for homemade bombs. "Khorasan is a very dangerous organization which uses cutting-edge technology for (preparing) attacks in the West," the official said. Drugeon's death was also announced on Twitter by a Saudi jihadist. Drugeon, who went by the nom de guerre Hamza al-Faransi, had become a "martyr," said Sanafi al-Nasr, one of the leaders of the Al-Nusra Front, another Al-Qaeda affiliate in Syria. He tweeted an old photo of Drugeon, saying he was killed west of Aleppo in the middle of Ramadan, at the start of July. According to al-Nasr, whose real name is Abdul Mohsen Al-Sharekh, Drugeon had "miraculously escaped" a coalition raid about a year ago in the Idlib region. A French security source declined to confirm or deny Drugeon's death. Drugeon had trained "numerous" jihadists in the manufacture of explosives, al-Nasr said, noting that the Frenchman had been previously injured in Afghanistan and during combat in the Aleppo region. When contacted at his home in France, father Patrice Drugeon said he had received no official confirmation of his son's death. "It's incomprehensible what he became," the father told AFP in a phone interview. "He was very smart as a little kid, very loved, very affectionate, loved by everyone and always smiling." A football fan in his early years, Drugeon later drew close to ultraconservative Salafist Muslims, converted to Islam, started learning Arabic and studying the Koran. 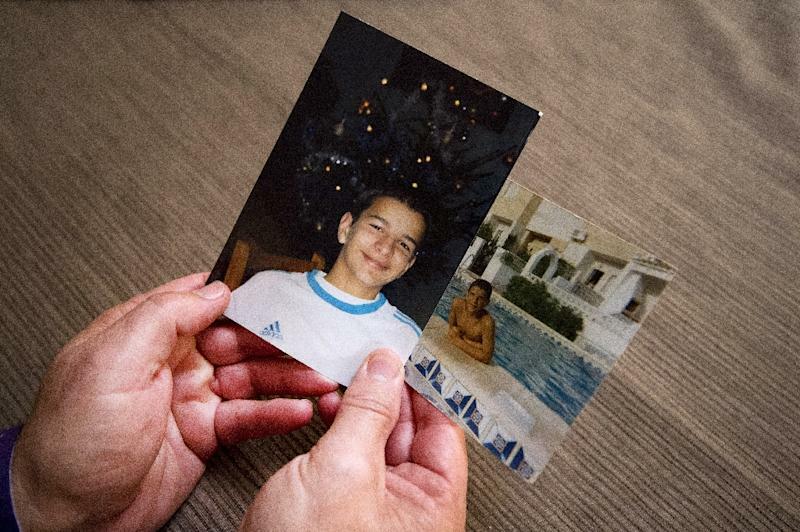 He had converted to Islam when he was just 13, at a time when his parents were divorcing. "That's what hurts me the most. What he became. What he was made to become, the indoctrination," Patrice Drugeon said, noting that young people were "easy prey" to recruitment messages for Islamist causes. After having worked and saved money, David Drugeon eventually went to Egypt and studied in religious schools there. Drugeon, who was born in 1989, returned to France and at the start of 2010 told his family he was going back to Egypt. Like many other international volunteers, however, he went down the jihad route and traveled to tribal zones in Pakistan, never to be seen again by his relatives. In Pakistan, he trained in how to handle explosives and make bombs, and later traveled to Idlib to wage jihad. US officials have previously described the Khorasan group as a cell of senior Al-Qaeda leaders.